"Built to take everything the Great British weather can throw at it." 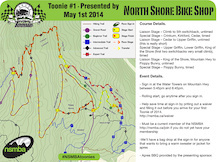 Get ready for the NSMBA Toonie series on the infamous North Shore mountains through out the coming months. A fresh series of mischief from Josh Lewis and company. Some great DH racing action went down in Wisla this past weekend. Spring Solstice sets out to document the culminating points of some of the finest mountain biking Spring has to offer as the tracks and trails here in the UK begin to dry up. Parks are opening up for the season and Highland is excited to welcome you this weekend to enjoy their hard work. We head to California to check out the Five Ten headquarters and see what goes on behind the scenes. Watching DH bikes hitting big jumps and having a good time never gets old. Dirty Dan features in the first of our GoPro downhill race runs from Cairns. With 160mm of air-sprung travel and 34mm stanchions, SR Suntour's Auron fork looks good on paper, but how does it handle on the trail? After the race dust settled, the disco music turned off, and their wounds started to heal, the Smith team headed south into the unknown hoping to discover more wild trails. Ride along with Josh Bryceland as he rockets towards a second place finish at round two of the DH World Cup. Pinkbike approves of everything Eddie Masters stands for. 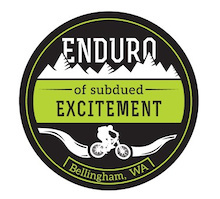 Enduro Of Subdued Excitement - This Weekend In Bellingham! Washington get ready for some enduro racing this weekend in Bellingham. Get ready for some proper DH racing at Pajarito Mountain. Skye playing around at Beacon Hill. Livigno will be jam-packed with events for bike fans from 1st - 4th May this year. New Jersey’s Bike Park is kicking off the 2014 season with epic conditions. 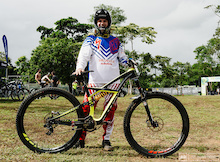 The Madison Saracen team just had the wettest weekend in history at a WC in Cairns, Australia. The Forest of Dean plays host to a strong turn out for the second round of the series. 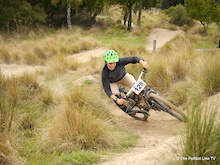 The greasy chalk at Aston Hill claimed many victims at last weekend's downhill race. This is the tail of the mid-winter get away to ride bikes, sip cervezas and enjoy some sun in Portugal. 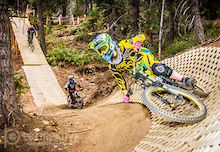 Come check out the GO Enduro event in a few week's time at the Whistler Bike Park. 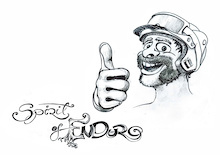 Waki's seeing things again - this time it's the Spirit of Enduro. Tito Tomasi heads to Cape Verde (Africa) to enjoy the surf, trails and people. When we think about grips, one name stands above them all, ODI. 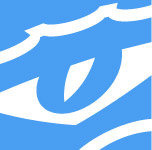 Check out how they are keeping production in house and getting riders input on new designs. The Lapierre Gravity Republic team heads to World Cup DH #2 in Cairns, Australia. We test Smith's Fuel goggle in the spring slop of the Pacific Northwest. This was the toughest DH race in recent history. As a photographer sometimes it's a little change in equipment or technique that can have a result that truly surprises you. Time is ticking, register for free beer! 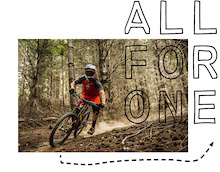 The BC Enduro series and Norco are excited to kick things off. The Sugar Showdown will be hosting a dirt jump clinic and competition at the Burlington Bike Park on May 9-10. Shimano ups sponsorship of Big Mountain Enduro Series to help support the growth of enduro racing. Joey Schusler and friends head on an adventure of a life time - 2014 Huayhuash Film. The riding in BC is top notch and this video will make you want to organize your own road trip this season. Join team CRC/Nukeproof as they take on round 2 of the 2014 DH World Cup campaign in Cairns, Australia. 22 videos to inspire, entertain, and amaze you for another week. Enjoy. Last weekend the European Enduro Series presented by XS Power Drink started into its first season at the enchanting Punta Ala. Originally a watersports brand, ION branched into MTB last season and has quite the gear lineup going into 2014. Junior Will Weston and Expert Sean Davies will be piloting the all new NS Fuzz DH bikes at this BDS events this season. The POC Eastern States Cup is pleased to add Geax as a primary sponsor and to let everyone see the updated events calendar. Felix Klee, the vice Swiss Champion behind Nick Beer, is back from his trip to New Zealand and is now in top shape for the upcoming season. Greg is a talented rider at only 15 years old. A quick edit showcasing the North bank Trail of the James River Park System. After a rowdy week of riding in Australia the rains abated just enough for the XCO course to dry out and the competition to roll on without a hitch. Relive all the action from the mudder down under. Enduro and rock&roll. This gets us going. All is said and done from a crazy week down under and it was once again the Athertons who had the last word. Adam Brayton took a severe crash during the World Cup race in Cairns and a spectator jumped on his bike and tried to ride the course. The spectator also took a severe fall. Remote and ancient landscapes equal spectacular adventure biking in Guatemala. Get the XCO results from Cairns 2014. Cool to see a rider moving up the grassroots ranks with a company, all through hard work and dedication. No spectators were hurt in this edit. Ty captures the mud slinging from race day. Relive the action from Cairns here. Sometimes you need to get to the bottom to find adventure. Get the full results from the rumble in the jungle now. Seasons of Shred heads way south for this Peruvian adventure. It's always a good time in Port Angeles. Having a good time on the local tracks. 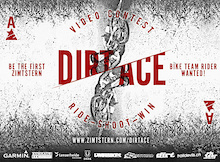 Zimtstern Dirt Ace - Team Rider Wanted! Rob gets in the finish corral to chat with the riders as they cross the line after a brutal round of qualies in Cairns. Just when the world's best downhill racers were thinking that they knew what they were dealing with at the track here in Cairns, the heavens opened and things got a bit biblical. 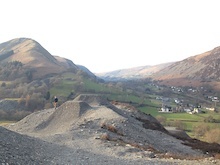 All the University students that ride headed to Caersws this year for the BUCS downhill. Emily Batty talks to us about the first round of the UCI XC World Cup series from South Africa and what to expect this weekend in Australia. BOS suspension showed up last year at the Vallnord World Cup with a similar setup in the Commencal pits and Remy Thirion won - now Lapierre's powerhouse team has its RockShox suspension wired and fired in Australia for a possible repeat performance. In his mission to cultivate a fun and passionate cycling community on the East Coast Zach Adams has put together some of the funnest, gnarliest and grimiest back-country races on the scene. Brice Shirbach catches up with the young promoter behind Fast Forward Productions. The Rocky Mountain- Urge BP Rally team will be keeping us updated throughout the EWS racing season with their athlete blogs. Get a closer look at the rock garden that's been hanging some folks up and the rest of the wild course in these raw edits from Cairns. The only fair thing about crashing is that it can happen to anyone. Enjoy five fails from around the globe in our monthly celebration of carnage. Club Ride looks to combine functional details with a casual post-ride appearance, but does it work out on the trail? Qualies are finished up Down Under, find out who had a grip on the slippery conditions. The UK's top dirt jumpers spent a month in California this winter and this video takes you to all the good spots. Bliss looks back at the EWS in Chile. What it's like to become a bike park instructor. Will you WIN THE FREE ENTRY to the 2014 GENCO Mongolia Bike Challenge AND race alongside your hosts and Backcountry.com Bike Team athletes -Jason Sager and Evelyn Dong? 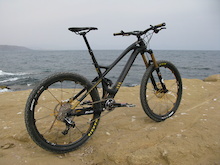 We just returned from Spain and our first look at the new Mondraker Foxy Carbon. We head down to Chile to check out Santa Cruz's latest carbon creation. This young lass has some skills and is building on her speed for the season. It's a wash out, but the fun is just beginning... Pack your swimmers and check out the latest carnage from first practice in Australia. Take a trip south to New Zealand in this unique photo story that will pique your travel buds. Central region voting is still open until May 4th, take a look at the awesome projects lined up that could use your help. 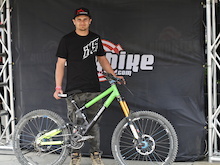 X-Fusion is pleased to announce the signing of slopestyle champ Paul “Bass” Basagoitia. 8th Annual Geoff Gulevich Garage Sale! This Sunday (April 27th) marks the 8th annual Geoff Gulevich Garage Sale. Roots and ruts. Get a feel for the track this weekend. Who'll keep it together? Ratboy takes over for a broken Peaty out in Cairns. We're happy to introduce Danielle Baker's column, The B-Side, for everyone here at Pinkbike. Find out who excelled in the slippery and wet conditions today in Cairns during timed training. We talk to Tracy Moseley about her choice to use a race bike with a bit less travel and larger wheels. We take a look at one of Kali's XC helmet offerings, the Maraka. Justin shot a lot of bangers last season and these are 10 of his favourites. Re-live all of the action from Nevados de Chillan and the EWS Round 1. The hot summer days are over and snow has begun to fall but that hasn't stopped some from riding in Argentina. 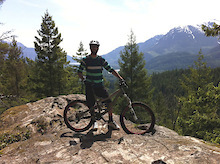 Fernie's 3 day all mountain MTB race is getting backed by the good folks at Intense Cycles. Total flash back for Peaty and team manager Kathey Sessler as they raced here back in 1996. Check out the course from the Syndicate view point. The Cairns World Cup track gets the full Claudio treatment. The speed of a semi-slick with the edging power of a downhill tire. The team has a few new supporters this year and a new junior member. It's rad to see an athlete from another sport transfer over so well to big mountain freeride like KC Deane has. The Canyon Crew reflect on their recent trip to Chile for round one of the EWS. Some things went well, some not so well and others terribly wrong. The Lahnvalley crew want to get you stoked for the upcoming 2014 season at Saalfelden Leogang. Episode 2 takes the Canada''u crew to the North Vancouver mountains. Caleb Harapnuik takes a little trip to North Vancouver and Squamish as he gets ready for DH season. 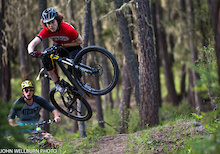 It's Springtime in Kelowna, BC, so that means that the dirt jumps are in prime shape. With the likes of Groves, Rheeder, van Steenbergen and more in town it's going to be a sick edit. The dust has settled and everyone is headed home to prepare for Round 2 in Scotland. Here is Matt Wragg's take on the weekend and what to expect from racers in the coming rounds of the EWS. A dry winter has worked in favor of the mountain bike community in California this year with Snow Summit opening early. This looks like the place to be for good times on 2 wheels. This is a new series from Maxxis tires as they follow their racers on the World Cup. A helicopter will always make for a better race. We've been missing Life Behind Bars but now the wait is over. There's nothing better than watching three of the most stylish riders in the sport getting sideways. JC is off to a flying start for the 2014 EWS season, having taken the win over the weekend in Chile. Ton Grundy follows all the rules of how to make a sick edit. Nails it. The European Enduro Series kicked off in Punta Ala, Italy on the weekend with 52kms of challenging terrain. The Argentine Railroad challenge with Hans Rey and Tibor Simai. Check out all the live action from Port Angeles as Kevin Aiello takes the top spot for the weekend and Logan Binggeli takes 6th with a stacked field of riders. We check out Raxter's Tarsus, an alternative to the usual bike transportation suspects. The 21-year-old pro enduro racer from Chico, California, tells how he landed a spot on the Marin/SR Suntour team. A little bit of weather didn't stop a whole whack of people racing the Pro GRT/ Northwest Cup this weekend in Port Angeles, Washington. It was a great winter for DH biking in Les Vosges. With the new Enduro World Series season comes a new season of Rider Journal entries from Jared Graves (and he's still rocking 26 inch wheels). With Specialized Bicycles being named “Official Bike Partner” of Mountain Creek Bike Park, it's time for a contest. 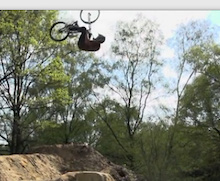 This young UK filmer is showing some talent going into the 2014 season. 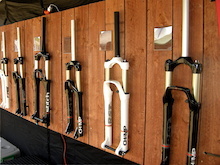 Fun times were had at the CRC booth at this year's Sea Otter Classic. Fresh parts for the DJ/Street crowd. Adidas Eyewear team riders Geoff Gulevich and Garett Buehler shook the barnacles off of the Canadian Winter and set their compasses Southwards. These guys killed it everywhere they went. Chris Tutton, President of Race Face Performance Products Ltd, has purchased Easton Cycling from newly named BRG Sports. Cool profile videos of the whole Trek World Racing team as they head to Australia for round 2 for the UCI DH series. What exactly happens when nearly all price considerations are thrown out the window in the search for performance? We test Specialized's $9,250 S-Works Enduro 29 to find out. 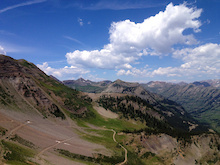 The Crested Butte Ultra Enduro will be the largest enduro this side of the pond in 2014. MSI brings world-class race timing system to the Enduro Cup presented by GoPro. This is a pretty cool look at what goes into a quality magazine like Freehub. The winter months are over and the 2014 4X ProTour is ready to fire into action. In 2013 Makken joined up with the infamous Hillbilly Huckfest, and together with professional skier, Aasmund Thorsen, they built a freeride track the way they wanted a freeride track to be built. The Whistler Mountain Bike Park opens next month. The fast and loose racing conditions were par for the courses on day two of the Enduro World Series at Nevados de Chillan. Racing wrapped in Chile with the Enduro World Series today. From a comedic look at enduro, to the return of Nico Vouilloz, we've got 20 videos to keep you entertained for another week. Enjoy. Road trips rule and they are even better when you travel from Europe to BC, Canada. Part one is about getting here and what it takes to plan this size of a trip. Cool commercial type piece from Continental tyres. Find out who took the top spots at the season opener for the 2014 Enduro World Series. Racing season is in full swing with the North West Cup kicking off this weekend and some familiar names hitting the podiums. Racing got underway for the 2014 EWS today! Fast and loose racing conditions for day one of the Enduro World Series at Nevados de Chillan. These ladies love their bikes and traveling the world showing others just how great cycling really is. Getting to the goods with a local taxi set up. Film contests at bike festivals are pretty rad and the videos in here will not disappoint. Everyone is loving a good enduro. Mountenbaik give you the updates from day one action. Day one has wrapped up - find out who's on top going into day two. New bits from Fox, Shimano, Specialized and more in this pit walk from EWS #1 at Nevados de Chillan. Dirt gives the dirt from all the day one action at EWS, Chile. *Warning* - Gory injury footage. If you have a weak stomach, this episode may not be for you. Viewer discretion is advised. Watch episode two of Smith Optic's new ''Great Days'' series as their team riders battle the Andes Pacifico in Chile. Adventures drive cycling and Gaspi along with Michal Marosi head to Morocco where they break off more than they can chew. Get a glimpse of the tracks at EWS Round 1 through the eyes of the Polygon UR Team. Practice was in full swing and everyone is looking strong going into this first EWS event in Chile. Nico Turner is back with a new season of "Live To Ride" and he kicks it off with Alex Bond and Brett Wheeler. West coast racing at its best, the North West Cup kicks off this weekend and here's a first look at the track. The FMB season is in full swing with Swatch Rocket Air being the most recent event. 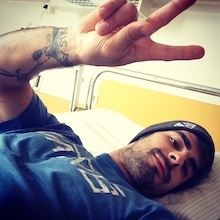 Follow World Champ Jerome Clementz as he tackles the 2014 season. The thrills of Brendog’s World Cup race run at Pietermaritzburg. All the Pinkbike video coverage in one place just in time for the weekend. Kick back, grab a beverage and soak in all the coverage you might have missed. The first stop of the Enduro World Series is fast approaching - take a look at the terrain and the lead up to the event. Prepare for some serious bikeporn as we venture to the Bespoke Bicycle Show. In the lead up to round 1 of the EWS, some big names arrived in Chile a week early to race the Chilean National Series at La Parva. 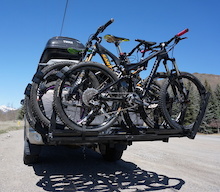 Pinkbike Poll: Do You Have a Summer Road Trip Planned? What two-wheeled adventures are marked on the calendar for this summer? We put seven months of hard riding on X-Fusion's competitively priced Trace RL2 to find out how the 140mm travel fork performs. Practice starts in the morning and it's going to be a weekend of DH action at the NW Cup in Port Angeles. The Dartmoor team escape the Polish winter and head to Barcelona for sunshine and good times. Hearing the rain come down through the night is not what you want to hear the day before race day when the course is as rooty as for the 2014 Dirtmasters Downhill. 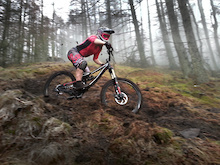 Banshee and One Industries would like to welcome their newest UK enduro team member Rob Newman. Winter took it's own good time to leave these shores this year and like many other forests around the country, Ballinastoe took a battering in the seemingly never-ending storms that left trees upturned and trails waterlogged everywhere. Jakub escapes the cold and spends his winter training in Barcelona. Ray shows that he can hang on the big bikes too. Check out NORTH in it's full form. It's here. This is the wildest trailer we've seen in years. Want to Win a Diamondback Mission Frameset? Diamondback want to give someone a brand new Mission 27.5 frameset and entry is super easy. Getting a factory ride for Giant/Fox at 17 years of age means that you're doing something right and have the skills to back it up. Get an insider’s look at the Enduro World Series with ON TRACK: Behind the Racing with Curtis Keene (10 part series). Go behind the scenes in this in depth look at Masters of Dirt and the show that they put on in Vienna, it's next level. Signatures is an upcoming mountain bike movie by Fullface Productions and this is their second trailer release. Geoff Gulevich sits down with Fox News to talk about his run at last year's Red Bull Rampage. First ever use of GoPro for finals as Marcelo Gutierrez winds his way down the PMB World Cup track. We inspect the machine the Nico Lau is hoping to race to the top step of the podium at this weekend's EWS opener in Chile. If you live in North America, you can now get the same bikes that Mick Hannah and the Hutchinson UR team race on. We put eight months riding time in on SRAM's second tier 11 speed drivetrain to see if it's up to the task. Re-live Aaron Gwin's dramatic victory at the first World Cup round in Pietermaritzburg. We can't wait for the next race. Freeride Entertainment has spent the last 15 years documenting the progression of mountain biking in such films as Where The Trail Ends and the New World Disorder series. They film more than bikes though, take a look at their best footage. Justin Leov's sights are firmly set on making waves on the enduro racing circuit this year. We caught up with him to find out what's in store for 2014. As the weather is getting warmer and the trails are now getting dryer it can only mean one thing, Summer's coming. We're pumped to bring you this humorous story to the roll out of the "Chasing Summer" video that will star Geoff Gulevich and Garett Buehler. Liam Mullany is the person behind this project, enjoy his stills, words and video trailer. Snow Summit is set to be the first North American Bike Park to open this year! We caught up with Aaron Chase and the 100% guys as they were cooking up some tacos and passing out cold beer in parking lot D at Sea Otter. With the Enduro World Series kicking off this weekend, we take a look at the 20 racers we think you should be watching in 2014. Top downhill, 4x and freeride-athletes have confirmed their participation for the unique competition - The Red Bull Wide Open. After a phenomenal 2013 season catch up with the Lapierre Gravity Republic as they race the first World Cup in Pietermaritzburg, South Africa. Handmade Polish freeride bikes ridden by a Canadian, DVO inspired knee pads, and a prosthetic leg that will blow your mind. Fun little video of the Bartbass Goodbike DH Team entering the 2014 season. Carson Storch holds it down in Bend, Oregon and takes you through the paces of what his diverse hometown has to offer. This past weekend at Alyeska Resort looked like a good time for racing on snow. We ride RockShox's new Bluto fork and discover that fat bikes can turn even the most mundane trail into a ripping good time. We can't wait to see where Fabien ends up this season as he travels the world with his Mavic team mates. It's not often that we see a high quality night video, thankfully we have Matt Hunter and Anthill Films to change that. 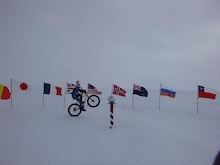 It's pretty inspiring to see a 9 year old out there riding daily to make a difference to others elsewhere in the world. Here is the Hutchinson UR's team video from Pietermaritzburg in South Africa. Biking has shaped the path for many people. Darren and Kelli are here to help more people find and enjoy this path. This is a cool look at the Cape Epic from the eyes of 3 different riders. 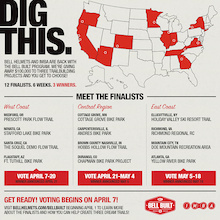 Bell Helmets is giving away $100,000 to build 3 dream trail projects and you get to choose who wins. Join team CRC/Nukeproof as they start their 2014 DH World Cup campaign in Pietermaritzburg, South Africa. 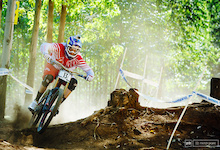 Out of Bounds Festival features UCI Mountain Bike Downhill World Cup, UCI Four-cross World Championships and 26TRIX. We test Scott's sporty looking yet surprisingly forgiving Elite BOA shoe. This team has to be pumped on Manon's first World Cup Win in South Africa. Do you love to see DH racing in action? Well, then this is the race recap for you as the crew brings you the best of all the DH action at this year's Sea Otter Classic. Two very contrasting events all done on the same sized (16 inch) wheels highlighted Bike Fest on Day 2. We catch up with the big friendly giant of the freeride world to see what's in the cards for 2014. A legend in more ways than one, Tippie brings you the crème de la crème of the Sea Otter Classic in this year's final instalment of JTT. 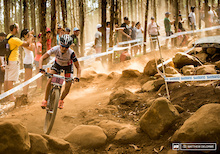 Hot, dry, and dusty conditions greeted XC racers at the Pietermaritzburg World Cup. Anka and Sven Martin take us to La Thuile for a preview of EWS stop number 4. We check out the Triumph, RSD Bikes' do-it-all steel hardtail. Here is part two as we take a look back at the inaugural EWS season as we head full steam into the first round in Chile next weekend. After an incredible weekend of World Cup racing and Sea Otter shenanigans, we've got 23 videos to get you through another work week. The final event of the 2014 Sea Otter Classic goes down in the record books as a Fiesta! Check out the video for all the action. Hosted by Brett Tippie. Video by Connor Macleod, Jamie Ledson, and Jasper Wesselman. A Sea Otter smorgasbord with a little bit of everything, from bikes to Brett Tippie. Lopes does his new sponsor proud with a win aboard the Intense Tracer 275. Margus Riga takes us on a photographic trip through the action that was the Dual Slalom. Today's haul of new items includes a fresh stem, a new helmet, and a slick computer that actually runs off of the data being collected by your iPhone. The weekend's other big race finishes with a few familiar names at the top of the list. 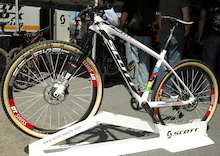 Take a look at the bike that won this year's Sea Otter dual slalom. 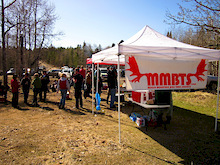 Kick off the ski boots and get into summer mountain biking gear with the Moose Mountain Bike Trail Society. Sit back, relax and enjoy life as the Parkins bring you the highlights from the first world cup. Cody Kelley stole the show at the Dual Slalom, we've got the video highlights to prove it. Jerome Clementz takes the win in Chile! The first XCO of the World Cup season is done and dusted. Up close look at a bike that erases any valid excuse for losing a cross-country race. All the riders were calling it the best course yet and everyone had a great time. We take a look at Batty's cross-country race weapon that she'll put to use in Pietermaritzburg, South Africa. 6D, well known in Supercross circles for their radical ODS equipped helmet, gave us the first look at their new full face mountain bike lid, the ATB-1 Carbon. Direct from Sea Otter: more flat pedals, a goggle that's claimed to make you happier, and a new high end all-mountain lid. Take a look at new pedals from Deity, an all-mountain machine from Guerrilla Gravity, Race Face's Indy knee guards, and more in this installment from sunny California. Relatively inexpensive single ring drivetrain solutions, seats inspired by Cam Zink, clever chain tools, and new 35mm clamp handlebars and stems can all be found inside. Either you want the Tip, or you don't want the Tip. If so, here's a tri-tip sandwich of Sea Otter Classic madness from day 2 including the Pinkbike premiere of Steve Peat's story, 'Won't Back Down'. Follow our lensman Margus Riga as he nails the first 48 hours of nugs at Sea Otter. Did you miss the live stream? Watch the first race of the World Cup DH season now. The results are in, World Cup season has officially started. A look at thirty nine different race bikes from Pietermaritzburg, South Africa. Which one would you want to go for a rip on? The women's field will be hotly contested this year, find out who came to the game guns blazing. Find out who's on their game for the 2014 season. We check out Sam Hill's very special Pietermaritzburg race bike - will less travel equal more rolling speed on race day? 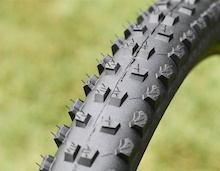 A look at two new carbon fiber rims and Specialized's 650B downhill tires. Check out all the action from today's SRAM Enduro race at the Sea Otter Classic. 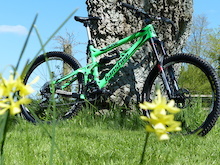 A 27.5-inch DH bike from one of the sport's more innovative suspension designers. We headed inside the Marzocchi team truck to get a look at a new carbon fiber short-travel fork and 3D rapid prototype models of two new shocks. The Germans fight back with two new 2.4" wide tire options to cover the majority of conditions you could encounter. BOS debuts a radical new shock for short travel bikes that could take your cross-country machine to the next level. Stems, sunglasses, and a carbon 29er are all included in this batch of products seen at Sea Otter. Sunshine and blue skies at the Sea Otter Classic Enduro today. Full results to come. Race season is officially underway - take a look at the high speed antics from Friday's qualifying round in South Africa. Manitou shows us their new Mcleod inline air shock and its IPA compression adjuster. 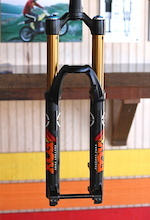 Morpheus' Vimana Slope has radically short chainstays designed to make its handling mimic that of a hardtail. You will soon be able to buy a copy of the bikes that Danny Hart, Marcelo Gutierrez and Andrew Neethling are racing. Radical suspension concept is derived from Brent Foe's experience building off-road racing trucks. 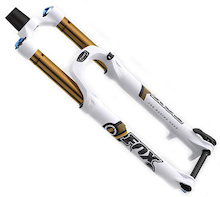 FOX eyes up improved performance and maximum wheel size and frame compatibility with their new 36 fork lineup. Canada dominates the team battle at Swatch Rocket Air. Usually we like to keep Just The Tip short and sweet, this one is pretty long. Warning, this is 20 minutes of your life you can never get back - enjoy. The Parkins are back and after years of amazing DirtTV videos, they will now be bringing you the action through the world of Red Bull. The Japanese giant takes a large, conservative leap forward and launches a dedicated one-by drivetrain. A sign of things to come? Qualifications are in. 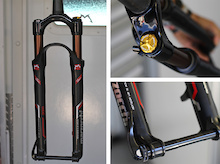 Take a closer look at Sick Mik's prototype DH race rig. At Sea Otter and got Skid Skills? So here it is, the season is on, and so are Claudio's GoPros! Let's do this! Introducing Chris King ISO XD Hubs and XD Drive shell conversion options. Hard tails will always have a spot for those of us that love efficiency and not worrying about our bikes ride, after ride. Same speed, new roughness... Riders go to war on the African dirt in the first day of practice and timed training. 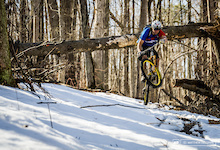 Two April races to kick off the Cumberland mountain bike racing season. Magura shows off their new four piston brake that looks to up the power without upping the weight. Wet in Welsh Wales: Borderline Events Uk DH Round1, Caersws. But really who wants to ride on a dry track anyhow? Training for the race season ahead with the Radon Flow Team. Fast bikes and loud stereos could be a winning combination for this team. Getting a kicker installed on the roof of a 100 year old historic steamboat that is Queenstown's pride and joy would usually be tricky, but not when you are world renowned and your name is Kelly McGarry. GT takes a serious approach to enduro racing by downsizing their Fury platform to create the 165mm travel Sanction. 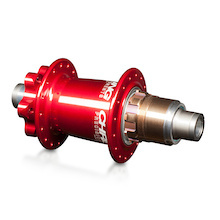 Hayes switches to mineral oil for its new retro-modern brake design that weighs 280 grams and cost only $95 per side. 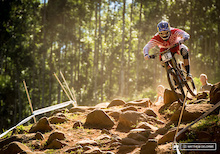 Ya this man won't back down and is charging hard with Greg Minnaar as they show us the course here in South Africa. Catch the course preview for this weekend's event and find out the live stream times for your location. Aaron Gwin's signature model grip is on the way - take a sneak peek inside. Check out what's going on at Pinkbike during the Sea Otter Classic. Matt Dennison brings us another hilarious 'How To' video. Follow these tips and you too could score a VOD. Diamondback's new Mission 27.5 is a meant to be an all-mountain bruiser - we took it out to see just what it could handle. Let the speculation begin - timed training results have arrived from Pietermaritzburg, South Africa. A few days prior to the Sea Otter Classic a fun, grassroots event took place in Aptos, California. Designed specifically for fat bikes, the Bluto is RockShox's latest addition to their suspension line. We take a look back at the inaugural EWS season as we head full steam into the first round in Chile next weekend. The Blizzard name returns in the shape of a fat bike with 4.7" wide tires and RockShox's new Bluto fork. The 2014 Santa Cruz Mountain Bike Festival was packed with non-stop fun and excitement. What do the organizers have up their sleeves this year? Racers of the World... Unite! The 2014 downhill World Cup season kicks off in South Africa. Greg Minnaar's a dominant force on the World Cup circuit, and he's no slouch as a businessman either. Take a look inside the walls of Greg Minnaar Cycles in Pietermaritzburg, South Africa. Are you ready to race? The courses at Dry Hill in Port Angeles are looking prime for the upcoming NW Cup. Good things surround the Aptos post office jumps and the Santa Cruz MTB festival. The season is starting off strong for Szymon Godziek and his new Cody frame is looking sweet in the Petrol finish. Does Specialized's clever new line of mountain bike clothing spell the death of the hydration pack? Great look back at Rachel Atherton's 2013 season as she looks forward to this weekend's WC DH season opener in South Africa. Kenda has built up a pretty sick gravity team for 2014 with names like Zink, Strait and Storch firing on all cylinders. The Smith Optics team journeyed down to South America to explore Chile and race the Andes Pacifico, they came back with memories of epic trails, helicopter footage, and a few new scars. Polygon's futuristic looking all-mountain rig is now in production - take a closer look inside. Cedric Gracia heads to Taiwan to check out Lezyne's facility and experience the local culture. Introducing the three-man UK team that will be competing on the international downhill circuit this year. The Bluegrass Enduro tour kicked off in Dabo, France over the weekend. The Bluegrass Enduro Series kicked off on the weekend in Dabo, France. Are we often most scared of things that we know the least about? Maybe you just need to try one out and the fears of the Fat Bike will melt away? Goods times are part of the Queenstown bike festival. Named after their original suspension fork, the new RS-1 is intended for elite-level XC racers and trail riders. We put it to task on Utah’s red rock for this first-impression ride report. Things are looking fun as the Hutchinson UR Team & Polygon UR Team prepare for the 2014 season kick off. Watch this video and then book a trip to this growing MTB mecca. Enve just dropped their new line of wheels for 2014, now you can see them in action in this epic video release. 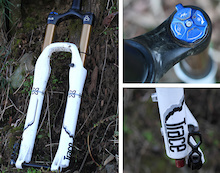 A completely redesigned 36 enduro fork headlines the lineup, along with updates to the rest of the line that are a direct result of the 34 RAD project during the 2013 race season. Brandon Semenuk and friends are back for another season of riding and adventure. Check out this hilarious teaser. Meet the Rocky Mountain Urge bp Rally Team as they gather for early season training. Masters of Dirt Vienna went down in February and it was one of the biggest freestyle shows ever made. Andreu was there riding his MTB like no other. The Chilcotin region needs to hear your voice by April 30th, 2014. A mini-Fury? GT's 2015 Sanction looks like a promising addition to the lineup. ENVE's new M Series carbon wheels looks to have every discipline covered, with options for cross-country, all around shredding, and pure DH use. We travel down to Brazil to see South America's best riders battle it out. 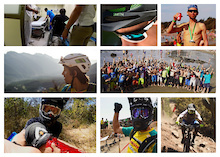 Velosolutions has some big news for fans of helmet cam runs, pumptracks and Adrien Loron. Save the date. May 10th things are going to get rowdy on the coast. The Queenstown Bike Festival is happening and you should be there. It was a great weekend for racing in South Africa. Ever wonder what the World Cup photographers are hauling around in those big packs? Justin Leov is looking primed and ready for the Enduro World Series to get underway. 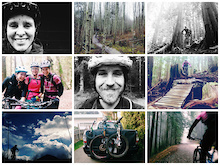 This is an article describing my experience as a Swiss in the Mountain Bike Ops program 2012-13 from Capilano University on the Sunshine Coast. We talk with SRAM CEO Stan Day about the past, present, and future of SRAM and the cycling industry. Finished watching every season of Breaking Bad (three times) and don't know what to watch next? Well Anthill films has great news as you can now watch #notbad on Netflix. 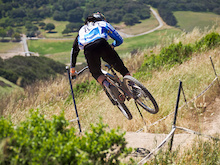 The weather is great in Aptos and the jumps are even better. Loïc Bruni’s career has just begun but there’s no doubt he’s one of the most talented riders on the MTB Downhill World Cup circuit. Ibis goes mega-wide with wheelsets built using their brand new carbon rims that measure 41mm across. Find out how the newest addition to Yeti's Super Bike series performed. Abus made their first bike lock in 1958 and it still works today. Pinkbike took a tour of their facility in Germany to see what 90 years of lock making looks like. Join downhill's fastest family as they hit up Malaga for Spring training. The Athertons are ready for battle. Team CRC/Nukeproof riders Mike Jones and Joe Smith head to the Gouveia International downhill race, Portugal, in preparation for this year's Downhill World Cup. From the streets of Texas to the Andes in Chile, we've got 21 videos to inspire you for another week. Spring trail conditions are right around the corner. Who's ready? Cascadia isn't just a place, it's a way of life. Take a look at the high-flying trickery that went down at the Vienna Air King. It was day two of racing in Sestri Levante with Superenduro today. It's not often that we get to see two of our favourite riders together in one video. Looks like they're enjoying the trails of California. Get the final overall results from round one of Superenduro. Use this simple routine to get stronger and improve your early season endurance. 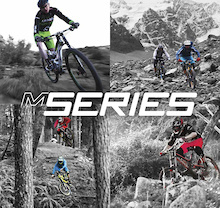 This is the local series that we here at Pinkbike get to partake in as it's in our back yard. Vienna Air King schedule of events. Voting closes 11:59 PDT Sunday April 6th so get in here and pick your favourite Gas To Flat edit. Someone's going to win a fully customized Hope components build kit! Get the run down of the action from Vienna Air King day one - Best Trick. Racing got underway in Sestri Levante today. Day one of Vienna Air King and Best Trick Competition has wrapped up. You could win some cool ION product by simply naming the top 3 podium of the Vienna Air King Contest this weekend. This is the type of trip that folks refer to as a "Trip of a Lifetime", so take the time to read about it and maybe it'll spark you to plan something similar. 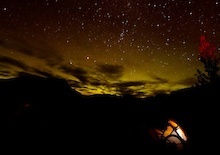 A ladies only backcountry, mountain bike camp in the South Chilcotins. More details inside. 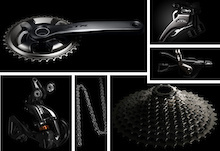 Aprils top deals from Chain Reaction Cycles, Competitive Cyclist and more. Keep an eye on this rider this year. In its 5th year running, The Cali Trip is a staple for these UK Dirt Jumpers. Rob Rebholz talks with top wheel, suspension, frame manufacturers as well as other industry veterans to understand how the 27.5" phenomenon will affect you. He deserves a gold one, check out Sam Pilgrim's signature bike. Bike Parks and trail centers offer great riding opportunities to all riders. 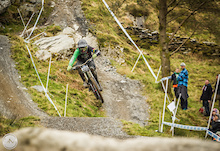 Check out some videos from last weekend's Shimano BDS DH event at Antur Stiniog. For the past 7 months Darren Berrecloth has been off his bike and laying low. Adidas Eyewear and Liam Mullany met up with The Claw to give some insight into his personal struggles this year and his road to recovery. The Claw is back. It's time to get stoked on Peaty at the Sea Otter Classic. We're pulling out all the stops for a one night only premiere of 'Won't Back Down' - tickets are on sale now for the evening of April 11th. Check out the top Photo of the Day images from the month of March 2014. Superenduro returns with the first big, Italian race of 2014! Heck ya, a third season of This Is Peaty is on the way to screens everywhere. Customer service has become top priority as Marzocchi seeks to reclaim their position in the world of mountain bike suspension. Check out these two new videos from Trek featuring their factory Enduro racers on the 27.5 Remedy and Slash bikes. A talking PBR can has just granted you three mountain bike related wishes. What do you do? Royal's full featured Stage jersey is aimed squarely at all-mountain riders and enduro racers. Rich Thomas, Mark Scott and Sam Flanagan head to Portugal for some DH laps. The A La Carte program is like haute coture for the bike industry - pick your own build and Commencale will hand assemble it for you. A morning of filming with Teby at our home trails. Fun looking zone to hit on the big bike. 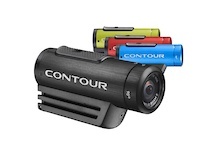 Contour appears to be back under new ownership. Want to Win Cash? Enter Speed Trap at the Sea Otter Classic! Entry money goes to a good cause and you can win cash for clocking the fastest time through the speed trap. Curtis Keene seeks epic singletrack in the dense urban jungle near downtown Los Angeles. Mitch Ropelato is a rider to look out for and he's just getting started. We sit down and talk to him about everything from French toast to 29ers. The racing was tense on the final day of the Pan American Championships. Find out who took home top honours. No matter how much fun you have riding other places, you always find yourself back on your home trails. This is a pretty good way to introduce a new bike. XC champ Russell Finsterwald and weekend-warrior champ Chris Dewar get after it on RockShox's new RS-1 inverted fork. Brandon and Logan point it south the Woodward West for some good times. The hills are alive in Saalfelden Leogang where the Lahnvalley Crew go adventure biking on some of the most picturesque trails we've seen. The crew at Joystick are pumped to unveil their 2014 Team roster and to announce that Geoff Gulevich will be the gravity team manager. If you like adventures, then this is the story for you. Sit back and enjoy the riding and photos. 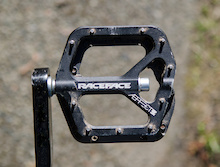 We test Race Face's new entry into the flat pedal market. Check out the top videos from the Month of March. We take a closer look at what the Enduro World Champion will be riding this season. LP is a a Kelowna-based rider and the following is his recollection of the events that led to the recovery of his bike, three years after it was stolen. Kuba Sidzina is a new Polish wonder boy. Dirt Factory will be the UK's first indoor dedicated mountain bike and BMX leisure centre. Want to ride with pro mountain bikers in spectacular locations around the globe? Darren Berrecloth's new business might be the ticket. This is the kind of catalog shoot that team managers dream of, just look at this line up. Two weeks ago Amir broke his back, but he's looking great for a full recovery as he begins his rehabilitation. 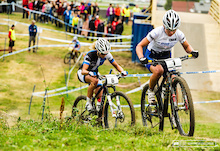 It was a great weekend of racing at the first Shimano BDS of the season. SR SUNTOUR has a pretty solid group of riders out there having a ton of fun and making products better for the rest of us. Last season Myles was crowned the Downhill Masters champion, and is looking to defend his title for 2014. In the third in our series, we head to the southern hemisphere to catch up with Trek World Racing’s, Brook Macdonald. Niner Bikes is the official bike sponsor for GENCO Mongolia Bike Challenge. The start of the 2014 UCI MTB World Cup is coming up fast, check out this recap from the 2013 season for the DH women. The Enduro World Series is about to kick off in Chile, April 19-20. We nailed Chris Ball (director of the EWS) down to answer any questions you might have about the first successful year of EWS, and how things look as year two is about to get started. Kelly McGarry and Adam Craig visit Jared Graves in his hometown of Toowoomba, Australia. Check out this banger video with an all-star cast shredding the Australian Outback! Williams Lake in the Cariboo Region of BC is one of our favourite places to visit as the mountain biking (FR, DH, XC, AM and even #Enduro) is world class. Good to see the development team in action. Committed from the outset to maintain a grassroots model, EMBA takes the crowdfunding approach when it comes to sponsorship. e*thirteen debuts 40 and 42 tooth cogs for ten speed drivetrains, and GT plans on spec'ing them on select 2015 models. Do you live in the Utah, Colorado and New Mexico region of the USA and DH race? Then it's time to check out the Central States Cup. Bell has announced the final contenders for this year's Bell Built Grants, $100,000 in technical assistance money that will go to the three winning projects. This is a fun way to see the end of one season and the start of another. Pumptrack races are quickly becoming fun events for everyone to partake in. Everything you need to know about RockShox's new downhill fork, and all the info on their reasonably priced upgrade kits that will turn your old BoXXer into the latest and greatest. Matt MacDuff takes us on a tour of Joyride 150 once the lights are all turned out and the rest of the riders have all gone home. The start of the 2014 UCI MTB World Cup is coming up fast, check out this recap from the 2013 season for the DH men. doubles the effects of the shock's negative spring. This is part four of Brayden's journey back from his head injury that he suffered this year at Crankworx, Whistler. The Nomad is getting a serious update for 2014. This is no joke. 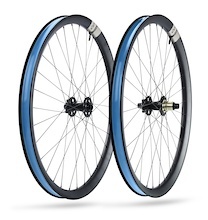 Is this this wheel size to make sure you're as fast as possible for Enduro racing? Chris King Precision Components pioneers #GRAVELVISION, a new methodology for contextualizing our components within the fast developing riding category of gravel grinding. Tired of the 26" and 27.5" debate? Switch between the two and get the best of both worlds with this simple product from DMR.